1. The Executive Committee, which supervises the operations of the ACM SIGGRAPH organization, including the annual conferences, publications, subsidiary committees, and special projects. Members are elected by ACM SIGGRAPH members. Different positions are elected each year. See the elections page for more information on Executive Committee positions and nomination procedures. 2. Ex-Officio and other non-voting members of the EC. These positions are a combination of Conference Committee representatives and paid vendors who support the organization and the conferences. They sit on the committee and participate in all the meetings, but since they were not elected by the members, they can influence decisions, but do not vote. 3. The Standing Committees. These committees provide input into various segments of the organization such as Chapters, Education, and Small Conferences, among others. 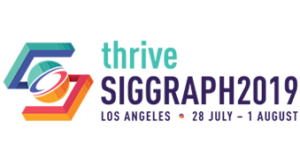 Learn more about the responsibilities of each ACM SIGGRAPH standing committee. In addition to the positions above, ACM SIGGRAPH is seeking volunteers to join the web team. Web team members are in charge of news and other content on the ACM SIGGRAPH website.